An obvious need for an updated and comprehensive study prompted this investigation of the complex of environmental costs resulting from the nation’s dependence on pesticides. 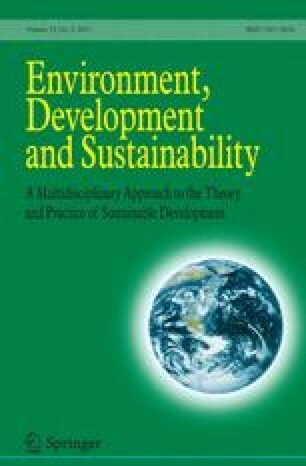 Included in this assessment of an estimated $10 billion in environmental and societal damages are analyses of: pesticide impacts on public health; livestock and livestock product losses; increased control expenses resulting from pesticide-related destruction of natural enemies and from the development of pesticide resistance in pests; crop pollination problems and honeybee losses; crop and crop product losses; bird, fish, and other wildlife losses; and governmental expenditures to reduce the environmental and social costs of the recommended application of pesticides. The major economic and environmental losses due to the application of pesticides in the USA were: public health, $1.1 billion year−1; pesticide resistance in pests, $1.5 billion; crop losses caused by pesticides, $1.4 billion; bird losses due to pesticides, $2.2 billion; and groundwater contamination, $2.0 billion. *Readers should send their comments on this paper to: BhaskarNath@aol.com within 3 months of publication of this issue.